This weekend, I traveled to view a historic planation, the House in the Horseshoe, in northern Moore County, an hour southwest from Raleigh. 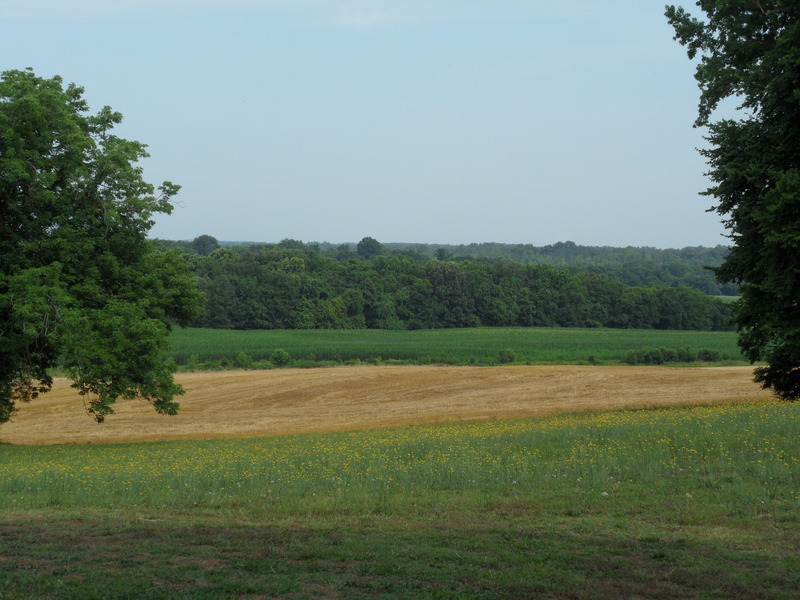 Amongst the fields of corn and hay, on a hilltop above the Deep River, is one of the first large houses of North Carolina’s upland frontier built around 1772 by Phillip Alston. It’s a beautiful site to visit and the house is one of the best, well-kept historical sites I have ever visited. What was especially exciting is that the exterior holds memories of a precise moment in time, a battle that had took place during the American Revolution. On the morning of July 29, 1781, a Loyalist party commanded by David Fanning led a surprise attack on Alston and his militiamen camped outside his own home. In the skirmish, the Loyalists ignited a cart filled with straw and rolled it toward the house, attempting to set it on fire. It was Alston’s wife who ran out through the fray with a white apron in hand and negotiated the terms of Alston surrender. 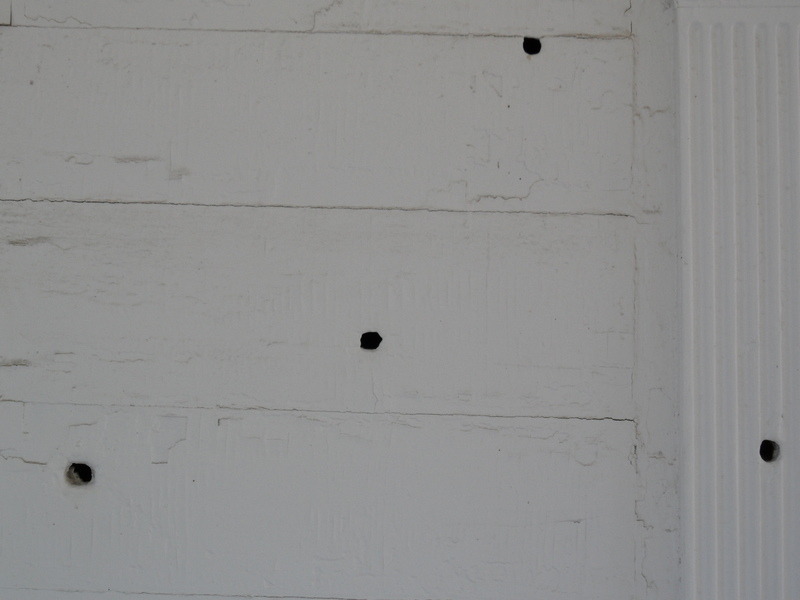 Many of the bullet holes still remain in the siding. Touring the inside of the building was as amazing and the guide was wonderful. The rooms are arranged as they were when Alston first lived in the home with the main bedroom and gathering hall on the main floor and the children’s rooms upstairs. 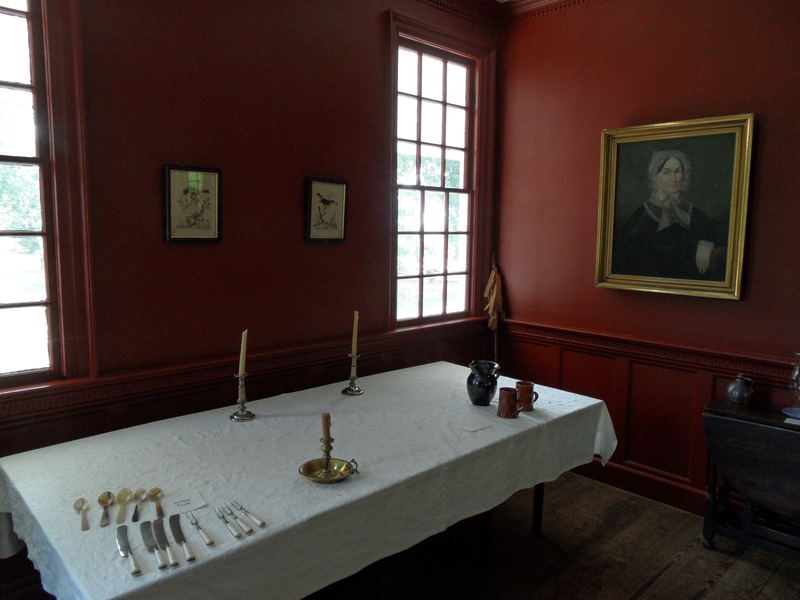 The guide explained that the furnishings are from the period, but the original house furnishings were lost. Still they were beautiful and perfectly displayed. I also paid my respects to one of the later owners of the House in the Horseshoe. 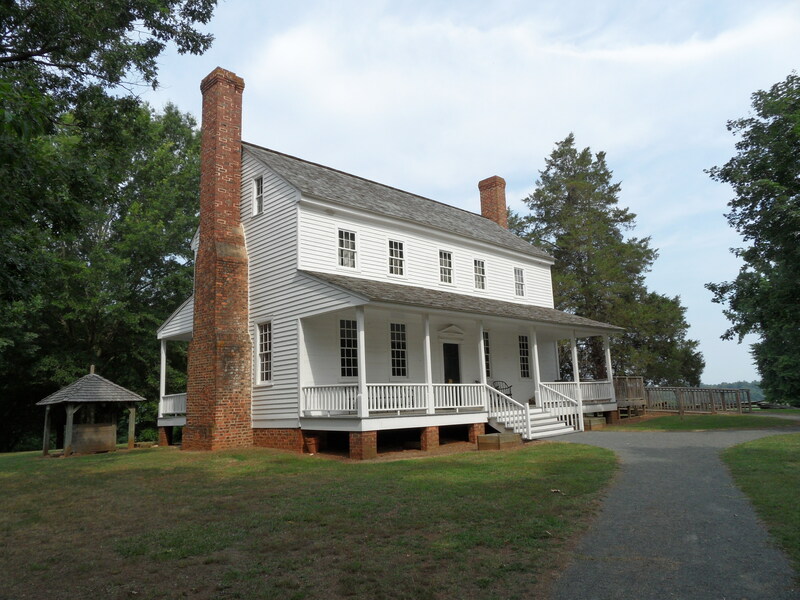 In 1798, Governor Benjamin Williams acquired the plantation. Williams had been a captain under George Washington during the Revolution and fought at the Battle of Guilford Courthouse. After the war, he had served four years as the gover­nor of North Carolina, was a member of the board of trustees of the University of North Carolina, and served in the national Congress at Philadelphia. 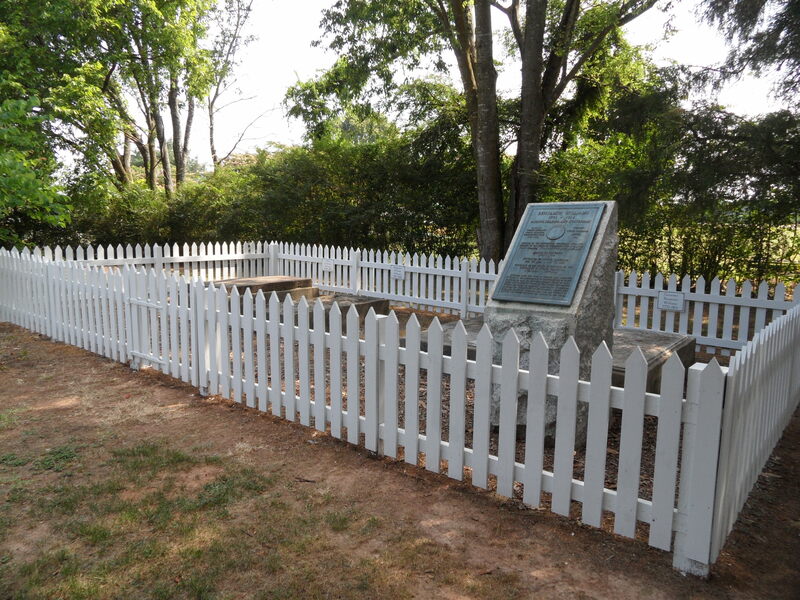 He died in 1814 and was buried on the planation property with his family. They still rest just out in the back of the home he once lived in. This is a wonderful place. Re-enactments of the battle of 1781 are held yearly on the first weekend of August. A Christmas open house is held yearly on the second weekend in December. I highly recommend dropping by the Alston House for a visit. Thanks for visiting all these wonderful sites in NC. I’m headed back to Mooresville in less than two weeks. I’ll have to search out some interesting places to visit. I’ll head towards the mountains. Asheville, Blowing Rock, interesting places to visit if you haven’t been. Grandfather Mountain especially. Check out those bullet holes!! Thanks for sharing Kels!